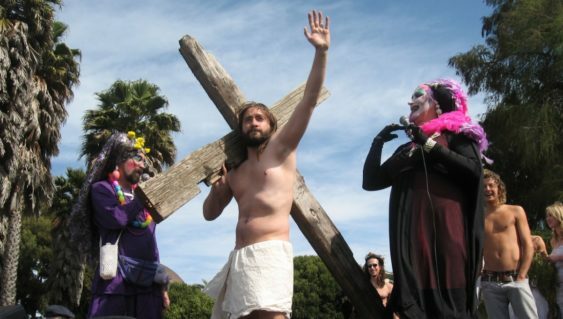 The Sisters of Perpetual Indulgence, the kabuki-inspired cross-dressing nuns-of-fun, host their 4oth Easter Sunday in the Park at Dolores Park. Join the Sisters for a family-friendly Children’s Easter starting at 10 am, which includes an egg hunt and games for the little ones. Plus, free dental screening exams that can meet the district requirement for the pre-Kindergarten dental exam. 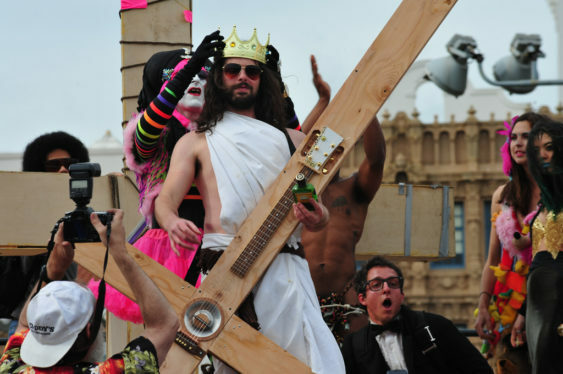 Stick around though because the real fun follows after the kids head home with adult-friendly fare like the Easter Bonnet Contest, and everyone’s favorite blasphemous hoot – the Hunky Jesus Contest. 10:30-Noon: Children’s Easter: Join in for an absolute egg-stravaganza hunt, hosted by the Easter Bunny herself, with Sister-certified Story Time. As a special bonus, they’re offering free dental screening exams that can meet the district requirement for the pre-Kindergarten dental exam. Noon-1 pm: The 40th Easter Celebration begins. Sister Rose Mary Chicken and Saint Kit Tapata welcomes DJ Strano, Nine Inch Males, Dusty Pörn, The Devil-Ettes, and the French Sisters of Perpetual Indulgence to the stage. 1-2 pm: Saint Queen Dilly Dally and Sister Flora Goodthyme keep the fun going while announcing the latest Grant recipients, with special performances by Rasa Vitalia, Baloney, and FouFouHa. 2-3 pm: It’s the Easter Bonnet Contest. How’s your head? The higher the hat, the closet to Jesus, and don’t forget the category: Love Your Mother, all presented with the dulcet tones of SecsDevil and GayC/DC. 3-4 pm: Sister Roma and Sister Dana return once more to give you Foxy Mary and Hunky Jesus. Are you ready to prove once and for all whether Jesus really had a 9″ Nail? Are you a Foxy Mary here to soothe a nun’s soul? Come give us a taste of your special sauce and show us a lil’ divinity hunny. Please bring your own trash bags to help keep the place clean and tidy. And don’t forget your snacks, drinks, sunscreen and lots of water. In case of bad weather, visit thesisters.org and their Facebook page for location updates.